If you aren’t already aware, Brechin is the UK’s equivalent of America’s iconic toy creator and former top Hasbro executive, Don Levine (now deceased) and is without a doubt, one of the 1:6 scale hobby’s most beloved “Founding Fathers.” To millions of collectors around the world, Bob is especially admired for all the work he did EXPANDING the Action Man line. 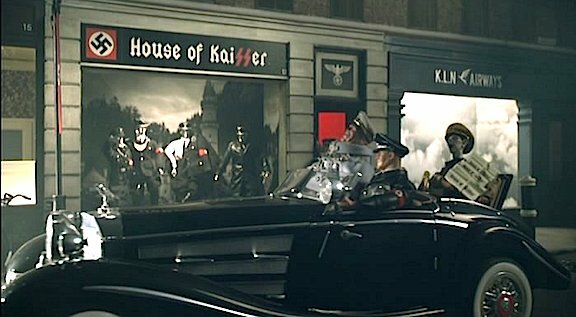 So many new uniforms, equipment sets and vehicles were introduced during his tenure that it literally boggles the mind. When his email “blinged” into our inbox, we couldn’t wait to read what UK’s toy legend had to say! 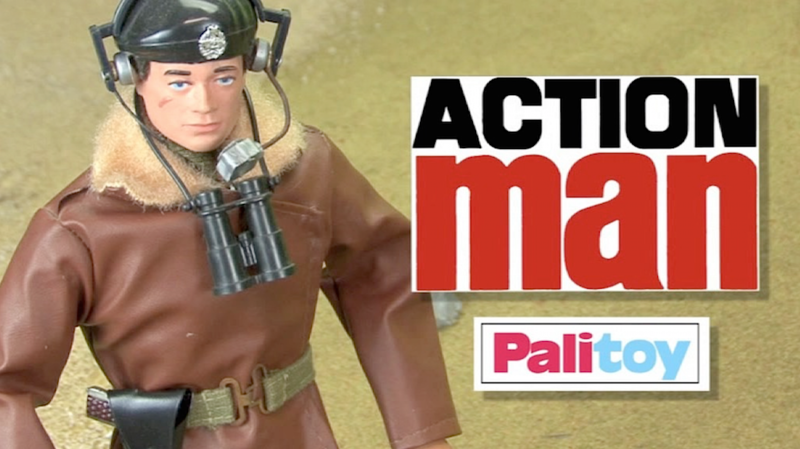 Palitoy’s Action Man built on the excellence of early GIjOE products, revising them with a decidedly British twist. Many of the UK-themed figures, sets and vehicles were never offered in the U.S. and are passionately sought after by fans on “both sides of the pond.” (Photo: Tony Roberts) Click to enlarge. 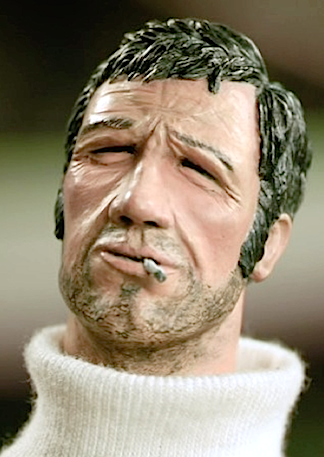 “So confident was the company (Palitoy), that marketing plans were decided and Toy Fair catalogues were printed before the licence was agreed and signed very late in 1965. 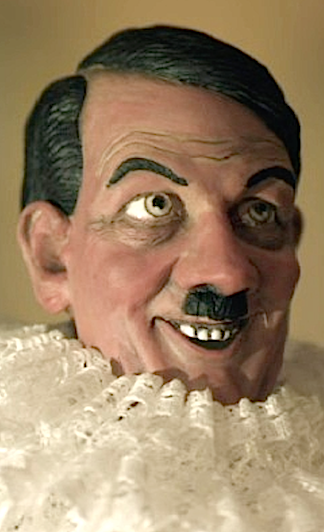 The ink had barely dried when the toy was launched at the British Toy Fair the following January. 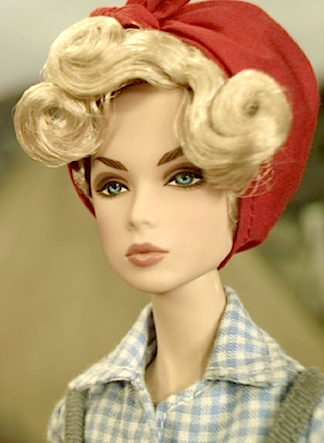 As you are aware, it went on to be an enormous success; collecting The Toy of the Year award in its first year and later being voted The Toy of the Decade in 1980. 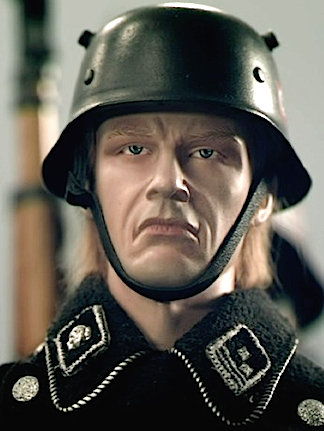 “I joined Palitoy in 1967, a year after the launch, right through until its demise in 1984. 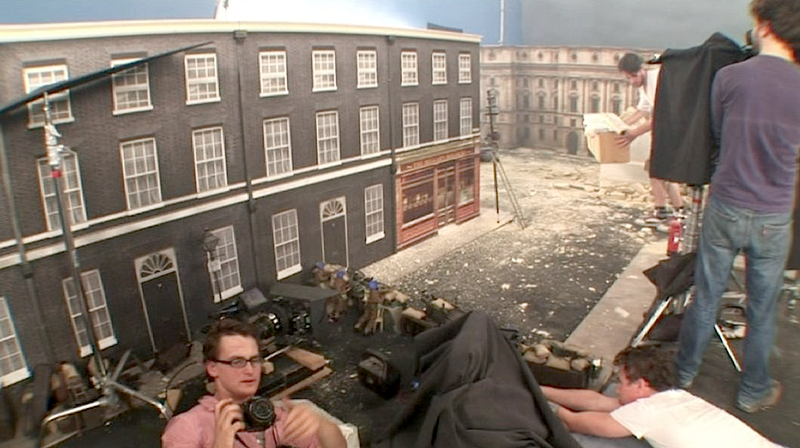 Throughout that time, I was the lead designer for Action Man, helping to transform what was essentially G.I. 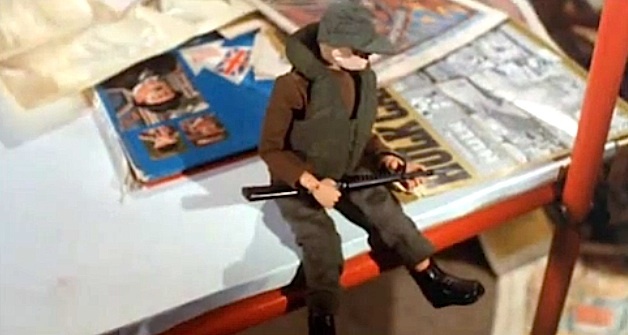 Joe in Palitoy packaging into a British phenomenon. 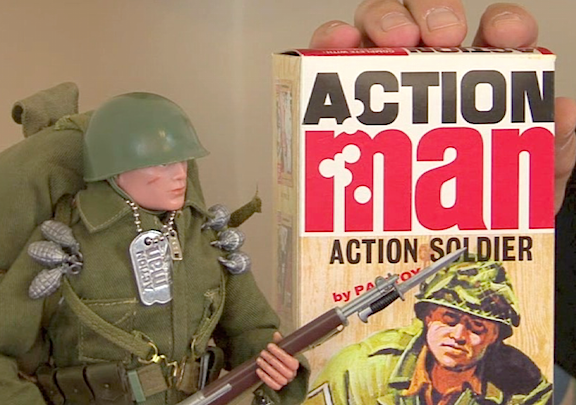 I also led a team that developed the range ‘Action Force’ before we were aware of Hasbro’s intentions to develop the same range of 3 3/4 “ action figures that was to be a “resurrected” G.I. Joe. Collect Them All! 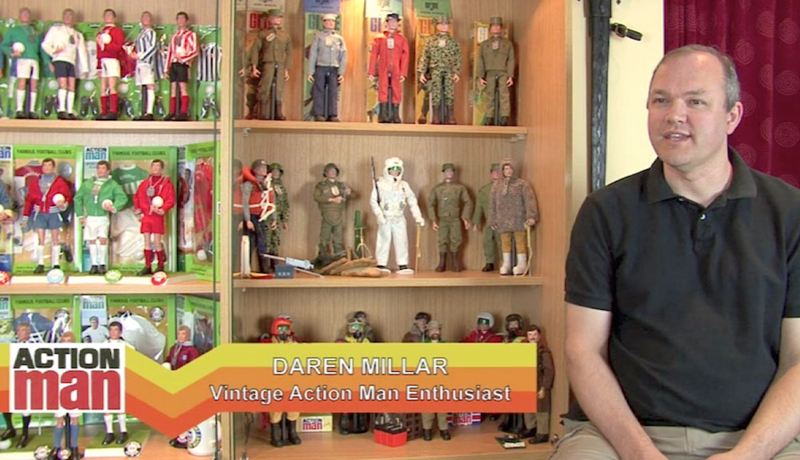 AM collectors such as Daren Millar (shown here in a screen capture from Tony Robert’s DVD), fill their shelves at home with Action Man. (Photo: Tony Roberts) Click to enlarge. 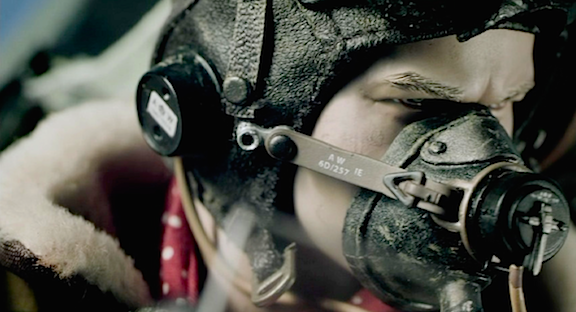 “After leaving Palitoy, I remained in toy design and development and it was during this period I became aware of the collecting mania that had grown. 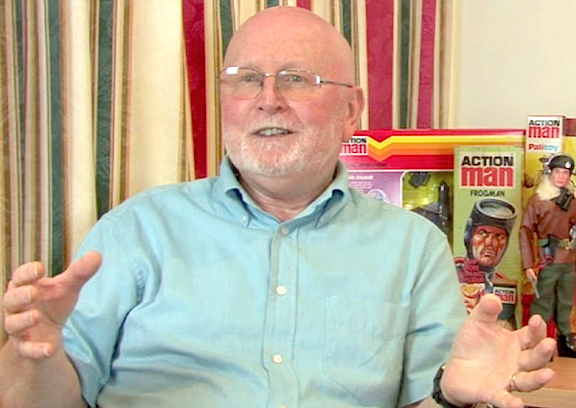 My first real awareness was when I took my (old) boss Bill Pugh, who conceived the ideas to give Action Man ‘realistic hair’ and ‘gripping hands’ (kung-fu grip to G.I. 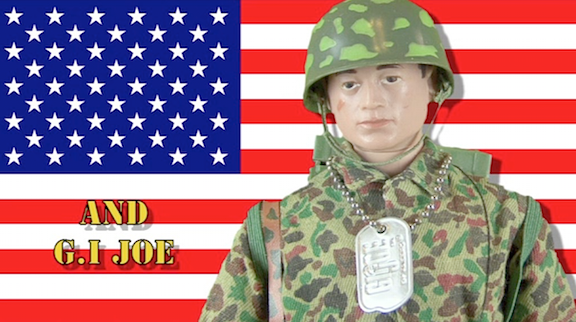 Joe fans ), to an Action Man collector’s show at the Tank Museum in the south of England. Details REALLY Do Make the Difference. 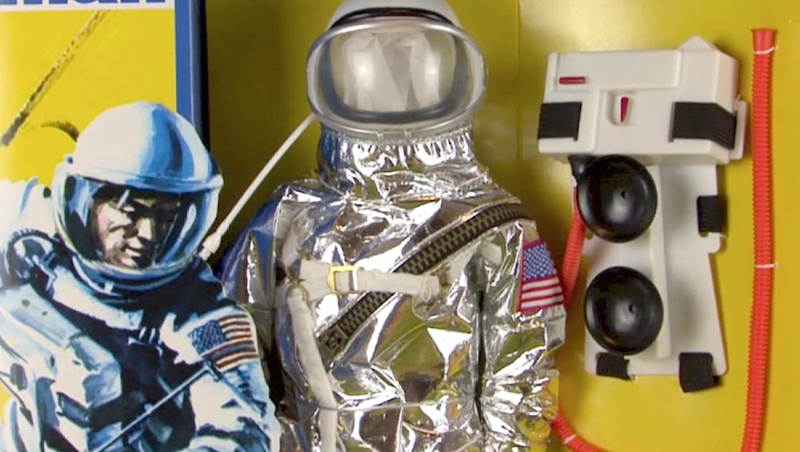 This closeup of a NMOC vintage Action Man astronaut suit equipment set would make any fan drool with envy. WOWZA! (Photo: Tony Roberts) Click to enlarge. “Since that immersion into the Action Man collecting community, I have been approached by individuals and groups for my thoughts and to attend meetings as a guest. 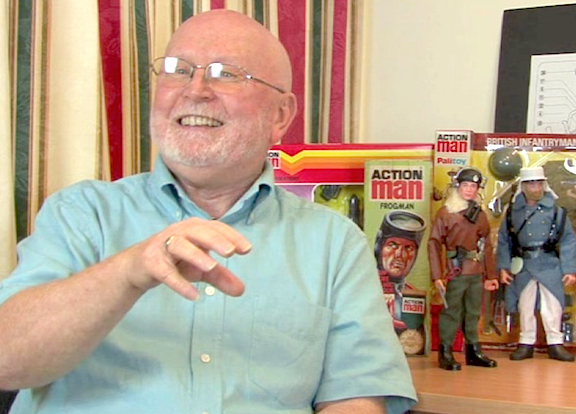 I was involved in the production of the book ‘Action Man: The Official Dossier’ by Ian Harrison, writing the foreword as a dedication to Bill Pugh. 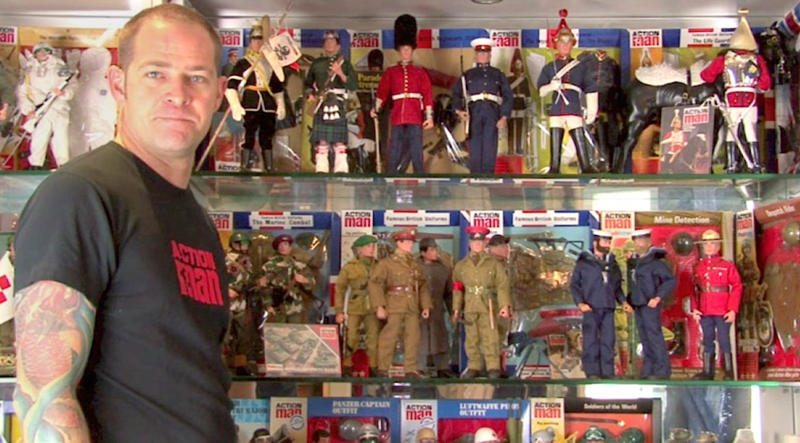 Tony Roberts, director of “The Story of Action Man,” poses with some of his personal Action Man collection at home in Perth, Australia. (Photo: Tony Roberts) Click to enlarge. 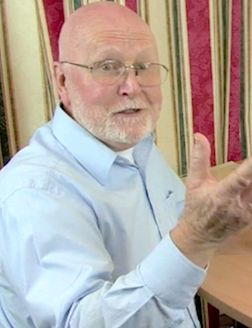 “Tony Roberts lives in Perth, Australia. He emigrated there from England when he was a young boy. Whilst in England, he was given an Action Man as a present and fell in love with it straight away. 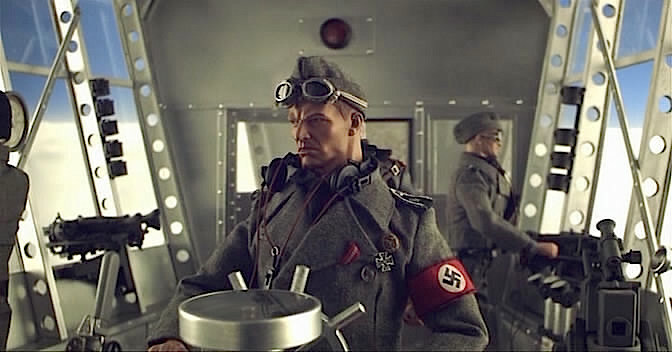 Every birthday and Christmas, he had to have something Action Man as a present and little did he know—he was building up his collection! 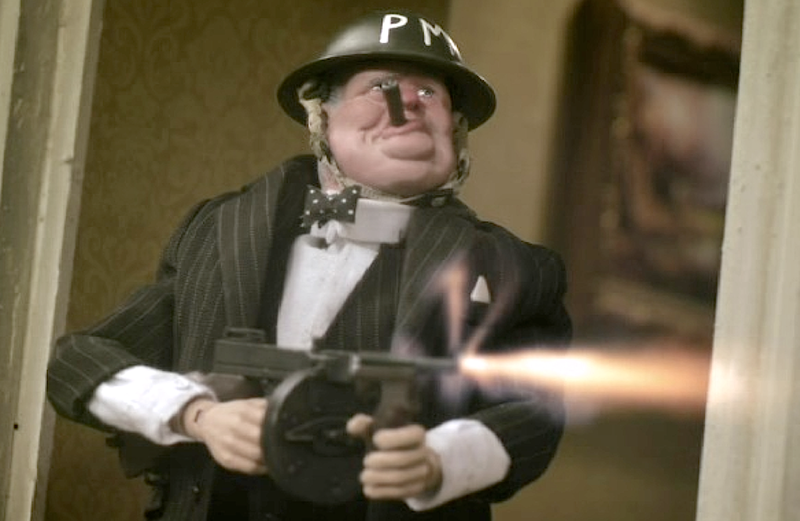 “The London Iranian Embassy Siege, that began on 30th April 1980 and was so dramatically ended by the SAS on 5th May, resulted in Palitoy fast-tracking an Action Man version. It must have also inspired young Tony because later when he was serving with the British Army, he applied for the famous SAS. 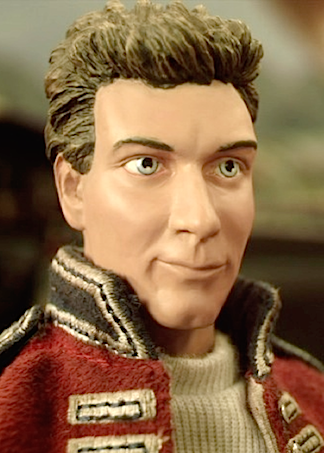 He was rejected; but Action Man doesn’t give in; so he reapplied and was successful. 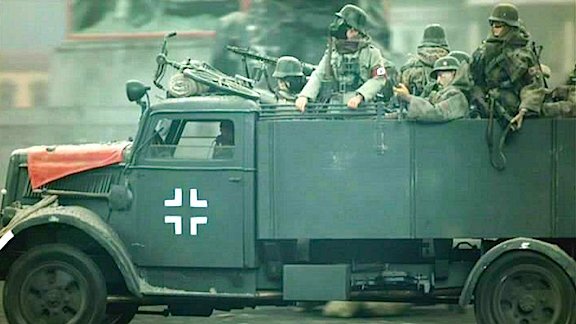 “Many of his films that were shot from the dashboard of his Humvee received high praise from his colleagues and they would invariably ask for a copy to take with them when their tour of duty ended. When Tony’s own time came, he was unsure of what to do next. 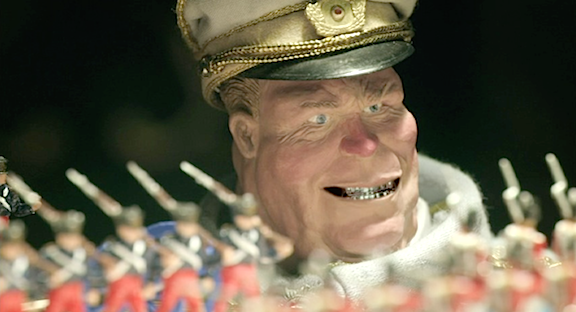 Many of his chums were taking up roles on merchant ships protecting them from pirates around the horn of Africa. Tony wanted out; but still unsure of where his life should go. Gotten himmel! 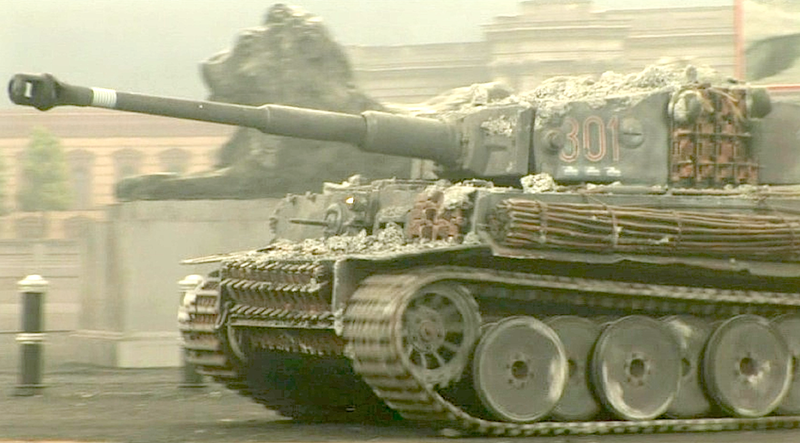 The photography in Tony Robert’s DVD is truly outstanding. By combining closeups with lavish backgrounds, the final effect is quite cinematic. (Photo: Tony Roberts) Click to enlarge. 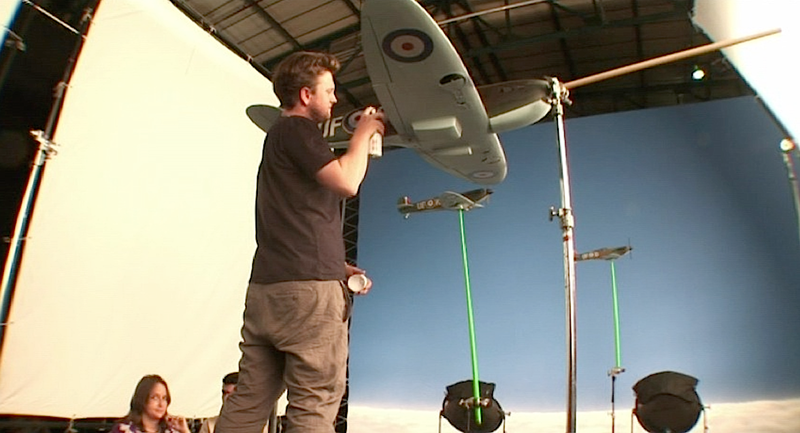 “On his return to his home in Perth, he eagerly set to work building dioramas and began shooting. 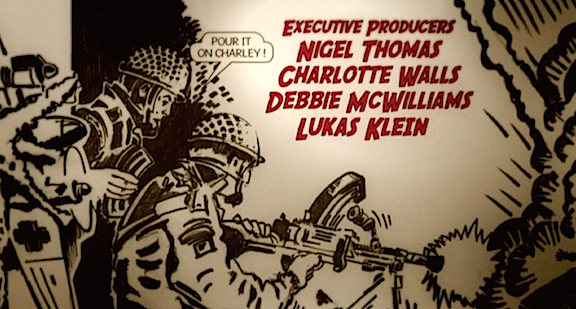 He needed to flesh out the film with face-to-face interviews with some of the people involved in Action Man’s ‘story,’ so yet another return trip was made to England so as to track them (including myself) down. “In the meantime, I contacted some old ex-colleagues. A room at a local hotel was booked for a couple of days so that Tony could conduct his interviews before he went off to a show to conduct similar interviews with collectors. 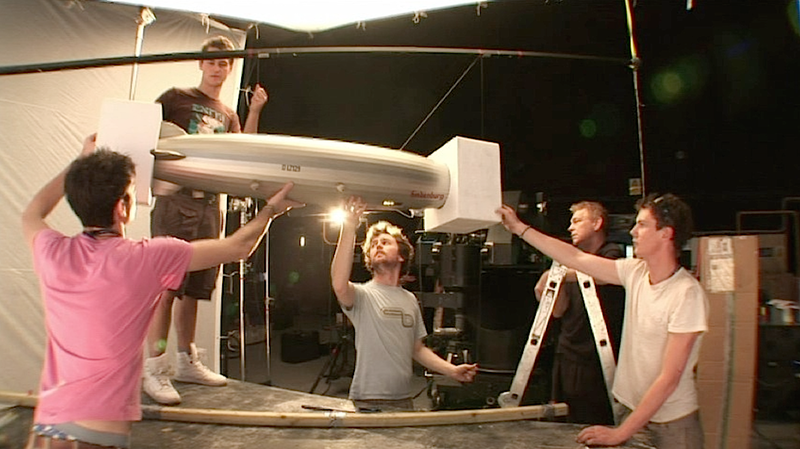 A few months later, he returned with the first draft of his film. 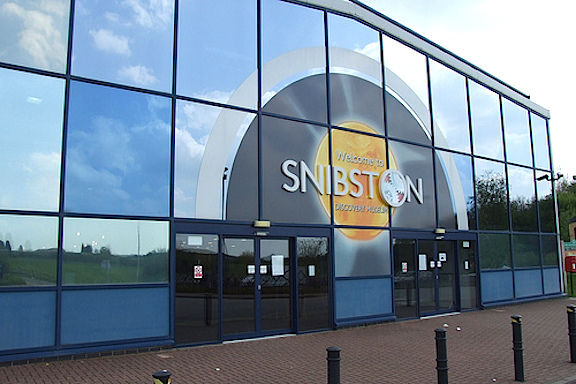 “The Snibston Discovery Museum is due for closure at the end of July due to the county council having to make cuts in its budget as a result of the national government’s austerity programme. It is a tragedy that such important places that are guardians of local and national heritage are being closed. 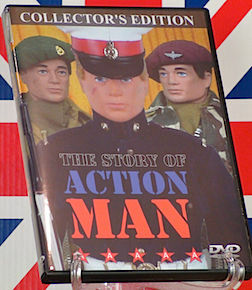 “My plan WAS to celebrate Action Man’s 50th anniversary at Snibston, so as to promote the toy AND the museum together. 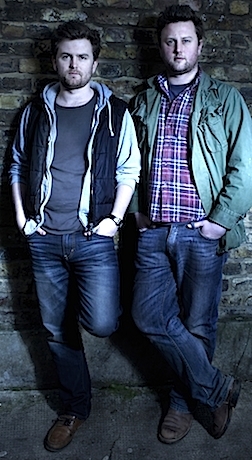 But with its closure imminent, an alternative venue was needed. 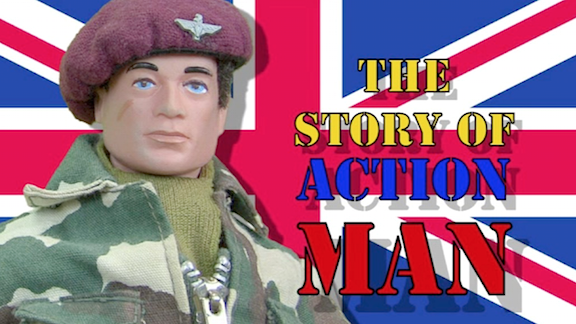 Since the Century Theatre is also part of the Snibston establishment, I have arranged for the Story of Action Man to be screened there, instead. 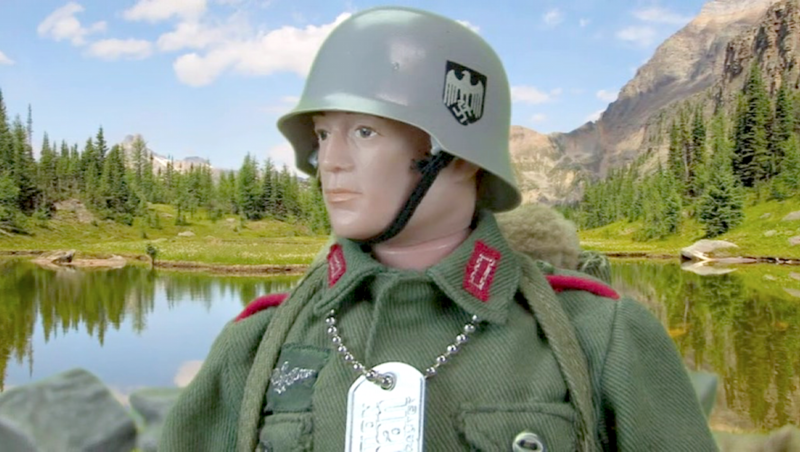 Bottom Line: Our sincerest thanks and best wishes go out to Bob Brechin for his generous contributions to this article, and to Tony Roberts and all of the other Action Man fans living in the UK, Australia, and elsewhere around the world, as they prepare to celebrate their 1:6 scale hero’s fantastic 50th Anniversary. 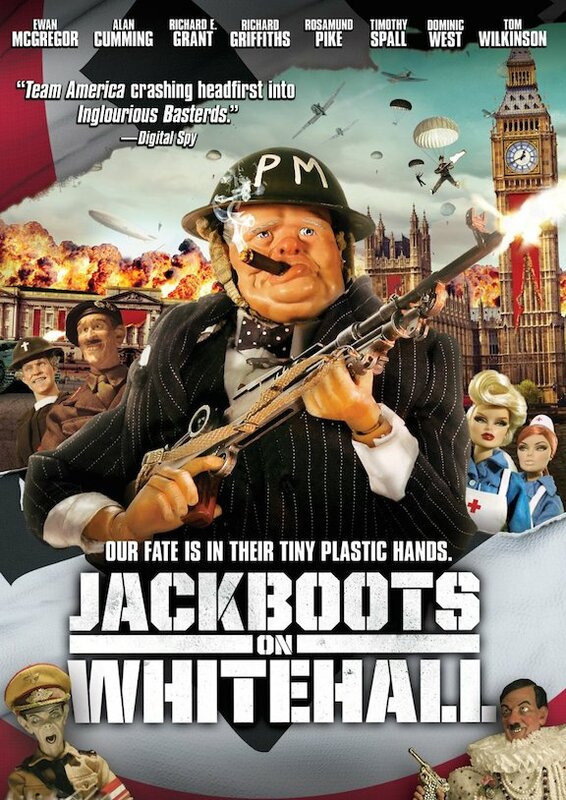 If you can make the trip to Snibston on July 4th, be sure to attend the film’s showing at the Century Theatre. For complete showtime information, go HERE. “Hi Mark, I just read the feature you included on The Joe Report. The only thing I must take issue with is putting me up on the same pedestal as Don Levine. I don’t think I deserve that. If Don was in the gold medal position he was up there with Bill Pugh. I would have been lower down (silver medal?). If you want to make your feelings known about the closure of Snibston, the HOME of Palitoy and Action Man toys, please write to Nicholas Rushton, Leader of the Council, Leicestershire County Council, County Hall, Leicester, LE3 8RA. “Hello again Mark, I have reread the article in The Joe Report and you say that the Century Theatre was the alternative for celebrating the 50th anniversary of Action Man. I also reread my email to you and could see how you misunderstood me. 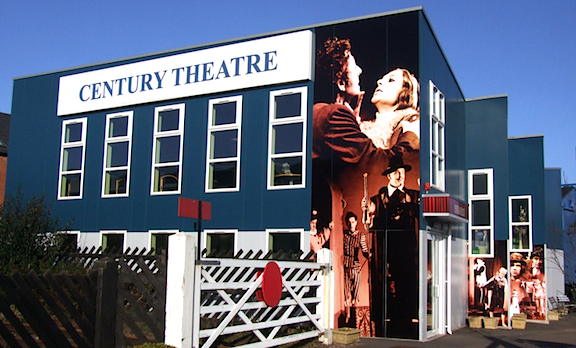 Century Theatre is not an alternative for the celebrations. 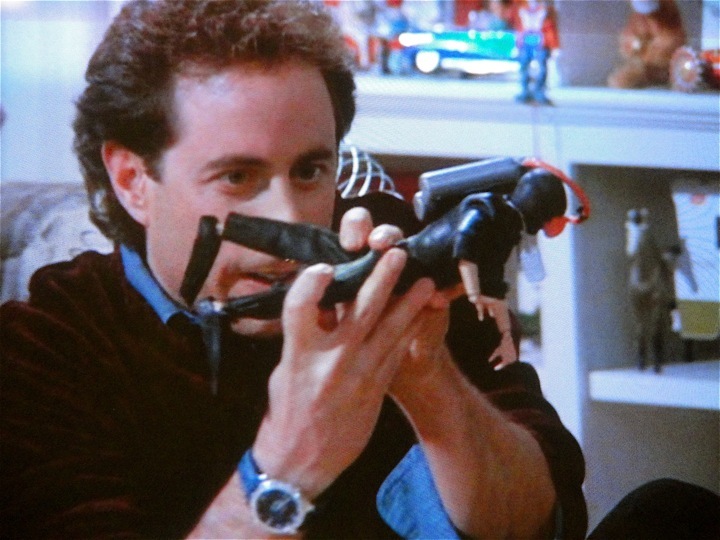 Of all the toys on the shelves, Jerry goes straight to the GIjOE. 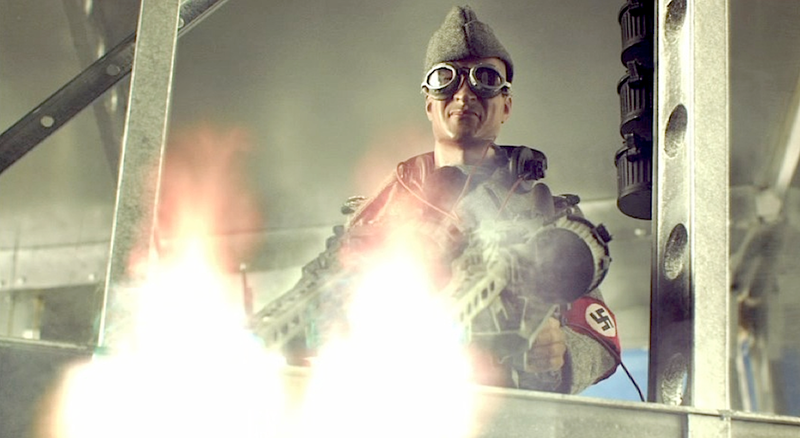 Hooah! 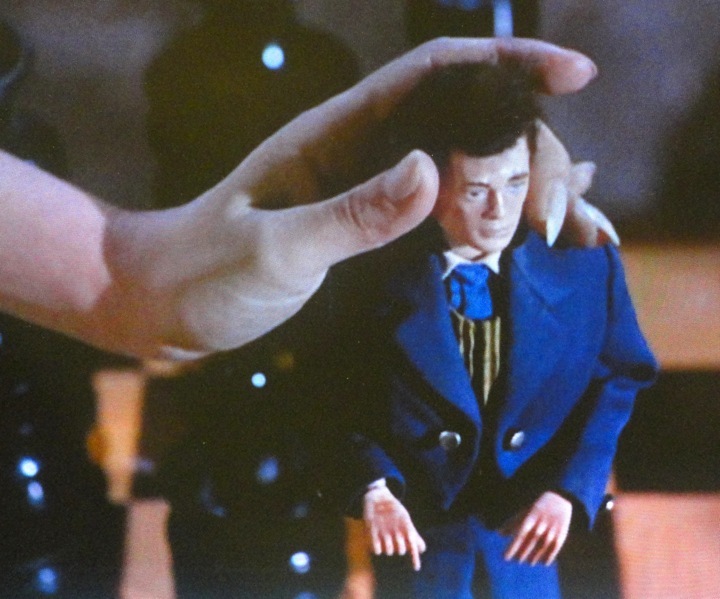 The hardest working actor in Hollywood is only 12 inches tall. Soon after his debut in 1964, GIjOE quickly became a “media opportunist,” and for 40+ years he’s been appearing regularly on both television programs and in motion pictures. 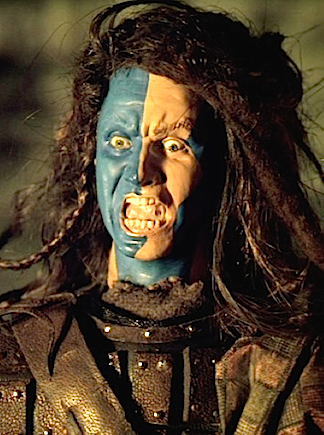 compiling an acting performance record that would rival any current screen star. 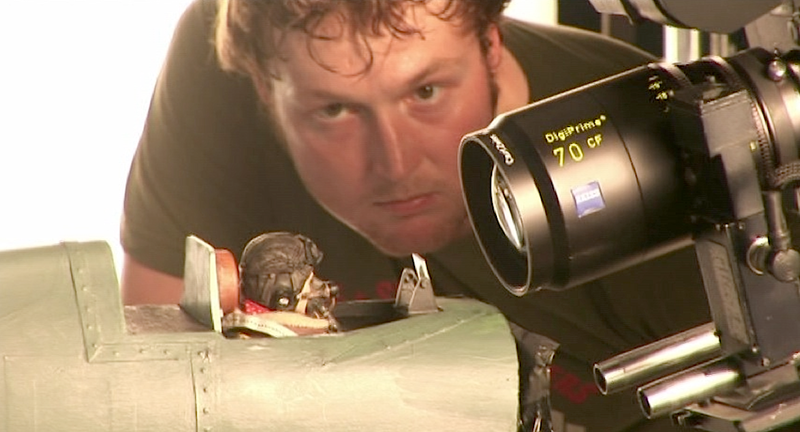 Clearly, in addition to fighting the world’s evildoers, Hasbro’s action figure also enjoys sneaking onto soundstages and backlots (maybe he’s just a ham) and making unannounced cameo appearances whenever and wherever possible. Jerry is thrilled to discover both an Action Marine and Action Sailor. 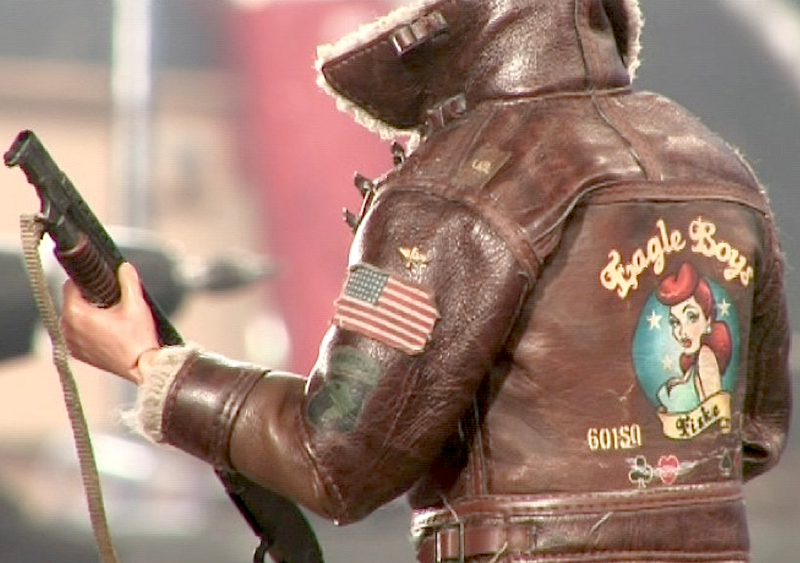 Fans enjoy reporting “sightings” of GIjOE’s performances as well. Similar to spotting a UFO, a genuine sighting is considered to be quite the coup and is always a pleasant surprise. Such discoveries are a matter of personal pride among GIjOE and Action Man fans and it’s considered somewhat of a badge of honor to be the first fan to “report in” when a new sighting is made. Typically, our hero is spotted lurking somewhere in the background, acting as if he was merely a decorative prop in some kid’s bedroom. 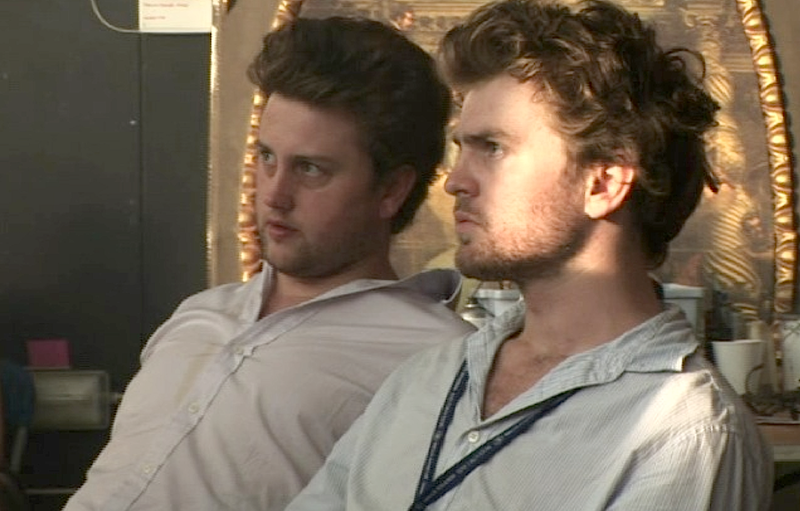 But Joe has also managed to actually land parts, becoming a legitimate character in a production. On these rare occasions, fans get REALLY excited. 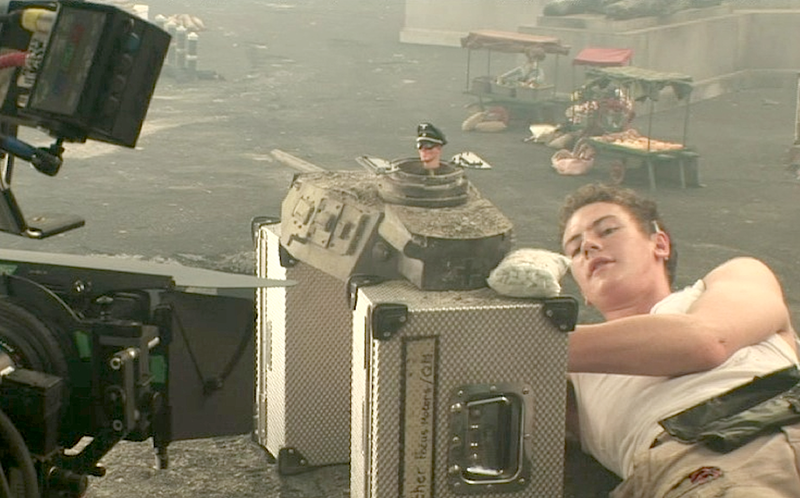 George plays with the Action Marine GIjOE while he waits for some fresh (30-year old) cake from the Easy Bake Oven. 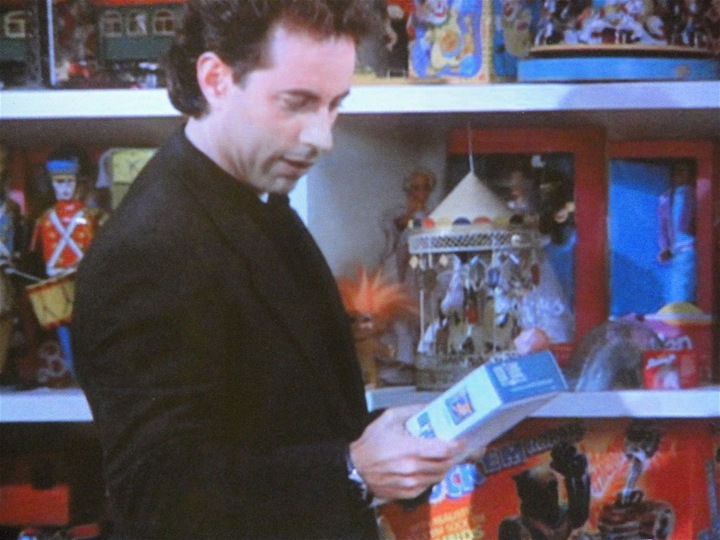 For example, in the 1990s TV series, Seinfeld, there’s an episode in which Jerry discovers a vintage GIjOE Action Marine standing on a shelf full of toys in his girlfriend’s apartment. Despite her repeated refusals, Jerry goes to extreme lengths in order to play with the figure (natch!). 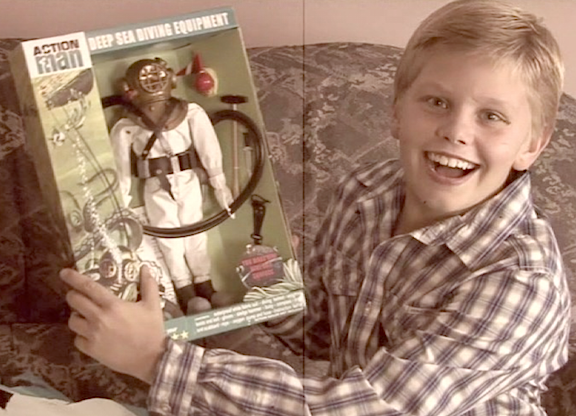 Later, Jerry, George and Elaine end up playing with all of the toys, primarily the Action Marine and an Action Sailor (outfitted in full SCUBA gear). It’s hilarious! 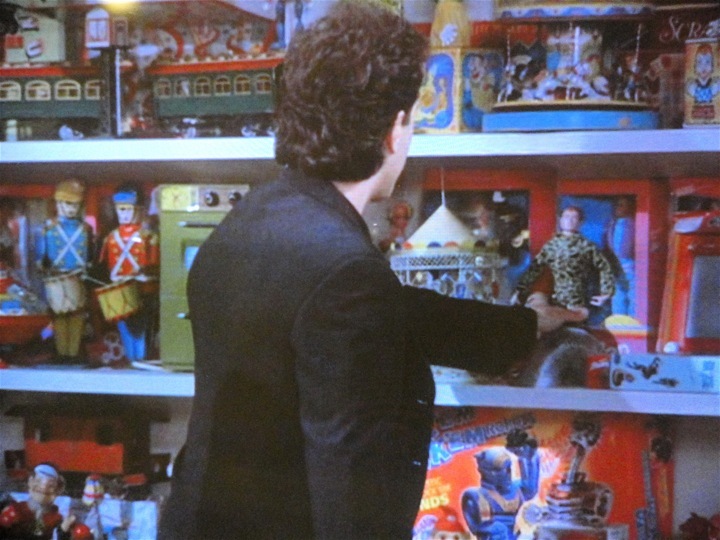 In this screenshot from an episode of Friends, Ross implores Ben to just “drop the Barbie” and play with GIjOE instead. 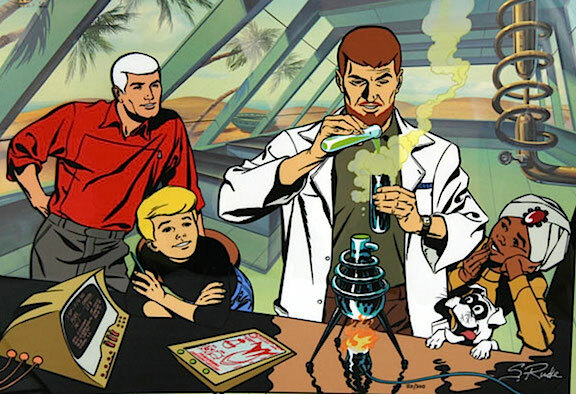 Similarly, on an episode of the TV series Friends, there’s a funny scene where Ross urges toddler Ben to just “drop the Barbie” and play with a GIjOE instead, to help “protect American oil interests overseas.” Ross even sings part of the 1980’s GIjOE cartoon theme song. Watch that scene HERE. But we’re getting ahead of ourselves here. The story of Joe’s acting career actually began almost almost 50 years ago, in a western town far, far away from his East Coast origins—Hollywood. 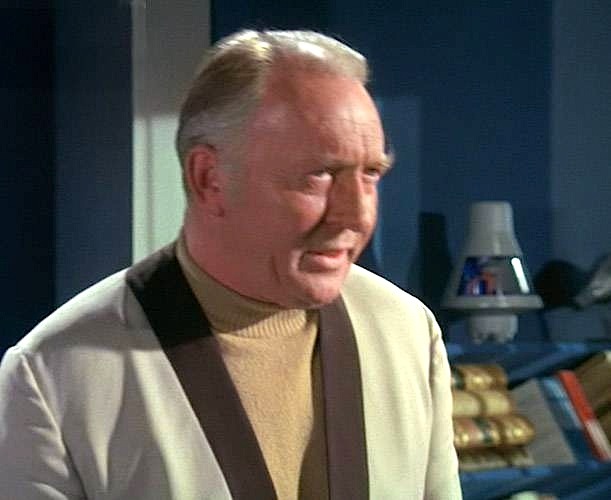 At the beginning of GIjOE’s budding show business career, in his first-ever cameo appearance on TV, our hero was cast to portray a handsome, if slightly oversized chess piece, in an evocative episode of the 1960’s TV series, The Wild, Wild West. 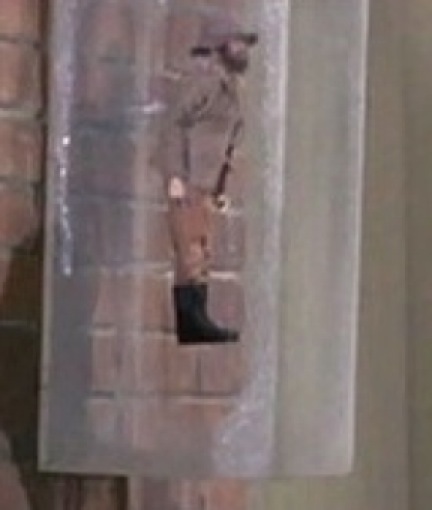 In that episode, a vintage GIjOE was required for a scene and customized to resemble the show’s 1:1 star, Robert Conrad. Reviews of Joe’s debut performance on The Wild Wild West were glowing and signaled the beginning one of the longest runs of any performer, of any size, to EVER work in show business. Joe as the mysterious “Iced Adventurer,” in an episode of The Partridge Family. 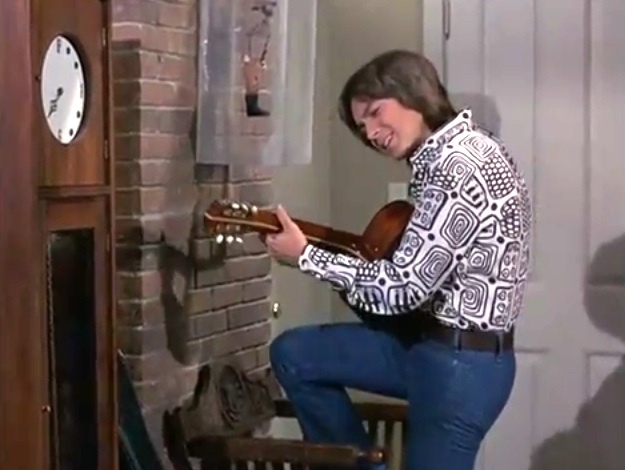 A few years later, Joe landed another cameo appearance on an episode of The Partridge Family. In that show, he portrayed the mysterious “Iced Adventurer” who was being held prisoner in David Cassidy’s room. For some reason, poor Joe had been encased in a clear plexiglass box, which was custom-weathered to resemble a block of ice. By this point in his career, Joe’s talent for remaining motionless had clearly preceded him. As before, he was asked to stand perfectly still, this time to help create the illusion of being frozen solid. He succeeded masterfully, and the show’s producers were thrilled with the performance. Watch that scene HERE (starting at 8:58). 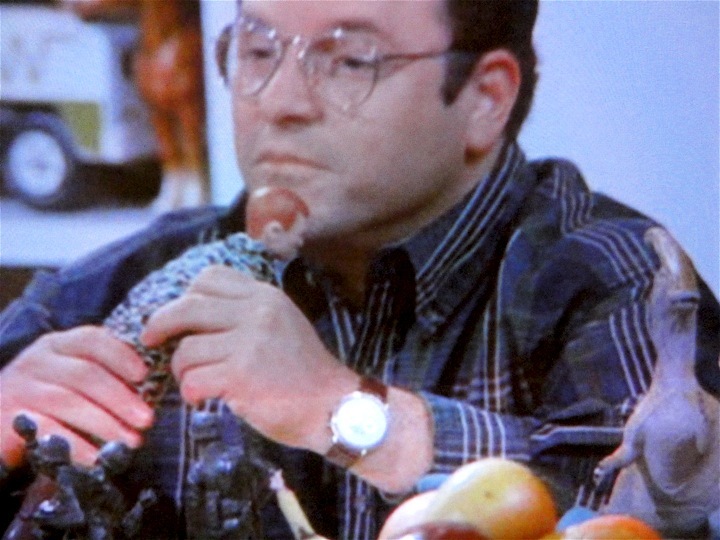 The reasons behind the show’s strange prop device were never made clear, and to a confused fandom, the episode remains one of Joe’s most puzzling television appearances. 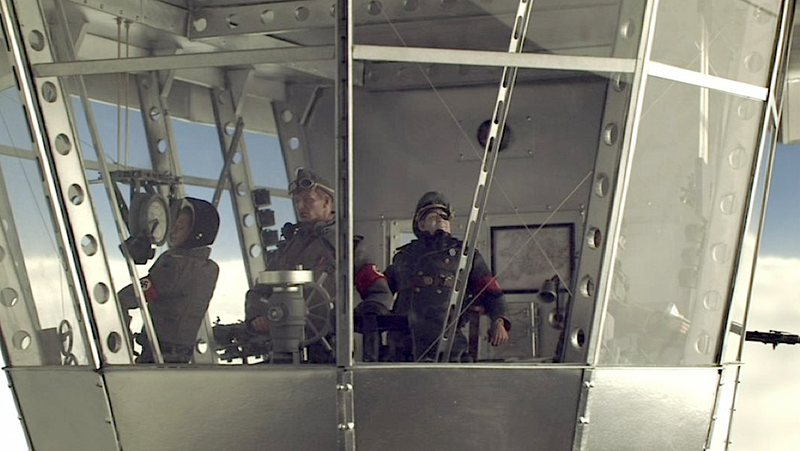 Nevertheless, requests for additional television cameos continued to pour in, one after the other. GIjOE had obviously found his on-screen niche as the “Go to Guy” for scenes that required someone who could stand very still. And fans were lovin’ every minute of it! 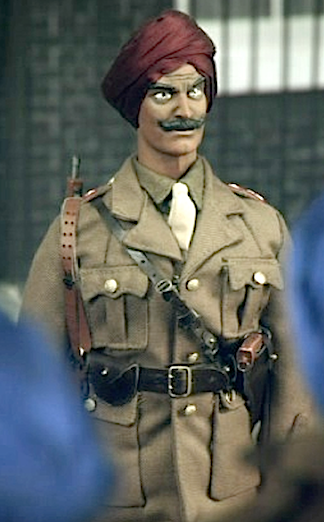 Soon thereafter, GijOE’s cousin, Action Man, also decided to get in on the acting biz, and began appearing in numerous British productions. One of the most popular was UFO, a 60’s sci-fi series that often required its 1/6th scale performers to work in miniature space ship models and sets. 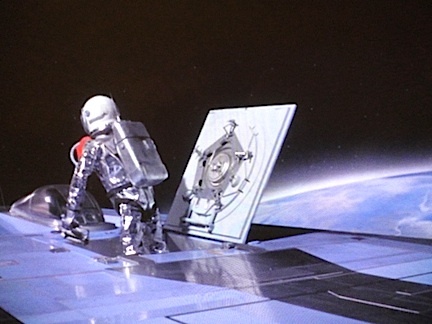 For these roles, GIjOE and Action Man Astronauts were clearly preferred, and their spacesuits would receive significant upgrades and customizations from the shows talented propmasters. 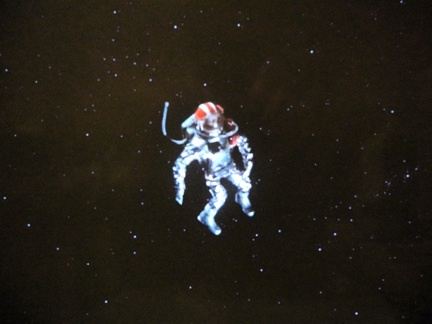 In one dramatic episode, Action Man goes on a spacewalk, has his oxygen line and tether cut, sending him floating away into space. WOW! 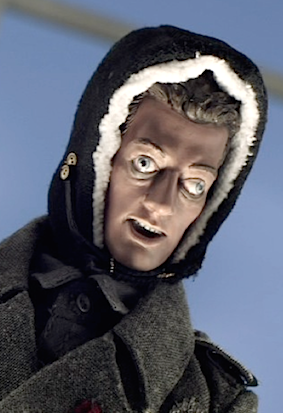 Was this customized UFO Action Man forever lost to deep space? 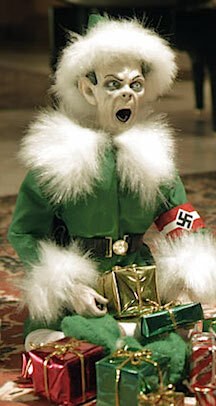 Or is he trapped in a box in a storage facility somewhere in the UK? UFO is a hoot to watch today, and opportunities for fans to make additional “Joe sightings” abound. 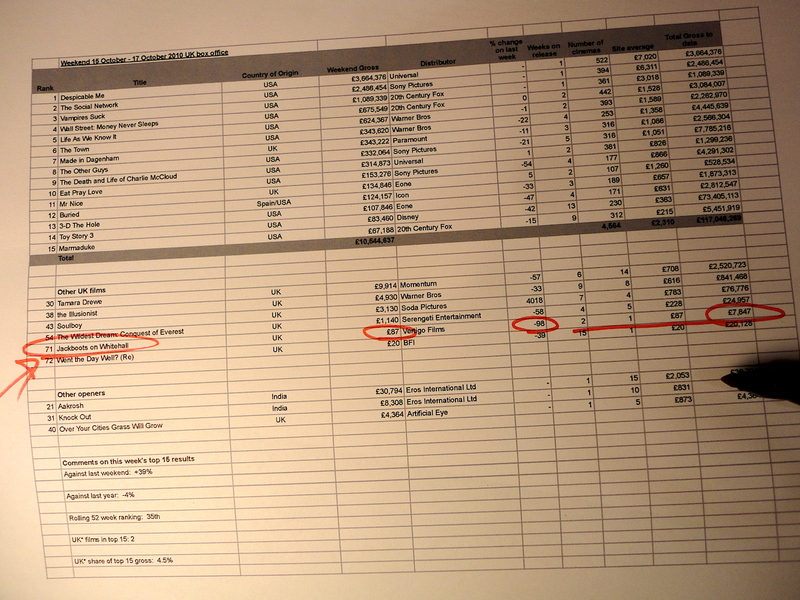 Keep a keen eye out for Joe-related props in the show as well. 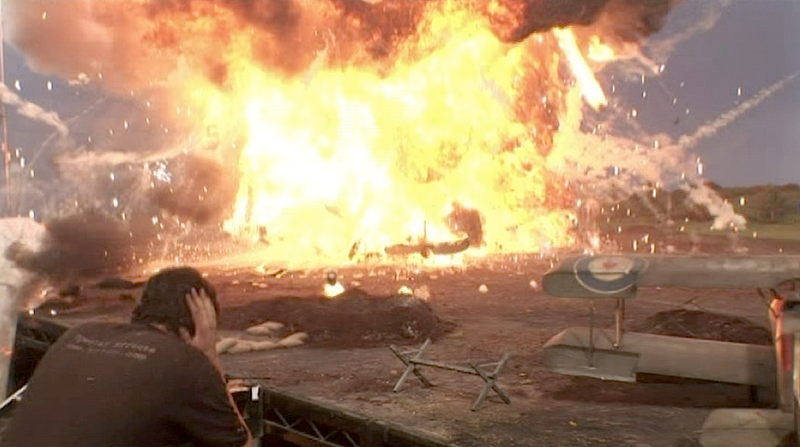 In many scenes, a GIjOE Space Capsule or Panther Jet can be seen. 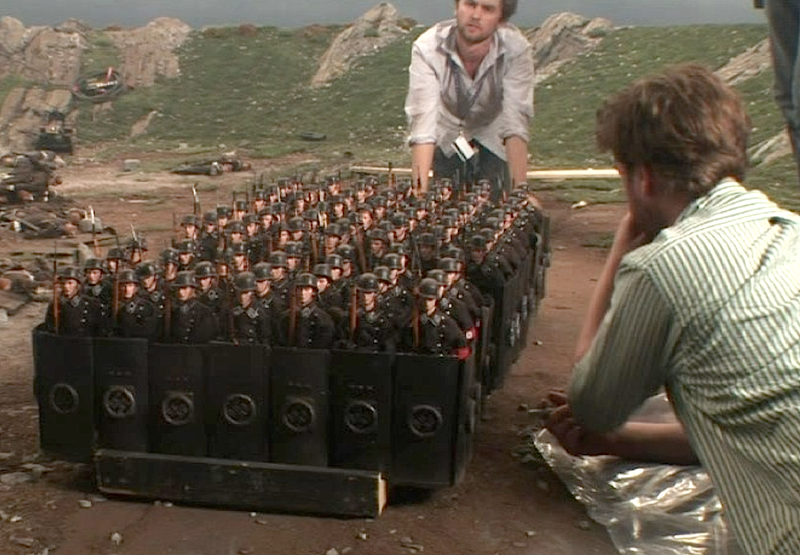 Clearly, show creator Gerry Anderson wasn’t hesitant to use GIjOEs in his productions. 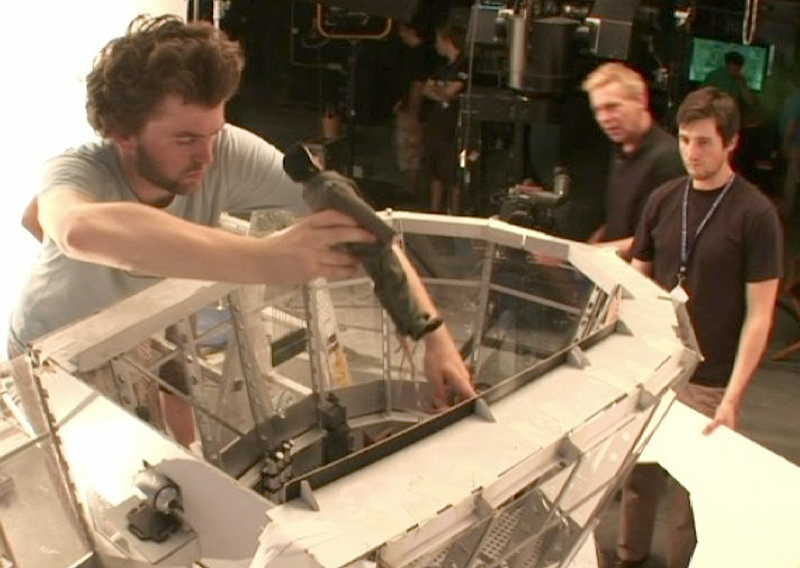 An Action Man astronaut doubled for 1:1 actors who didn’t have “The Right Stuff” to work in UFO’s miniature spaceships. GIjOE’s performance resume continued to grow over the years. He’s also appeared on Third Rock From the Sun, Home Improvement, From the Earth to the Moon, MadTV, Emergency, Ghost Whisperer and animated programs such as South Park, King of the Hill and many others. In an episode of That 70’s Show, Joe is rescued from a terrible fate—trapped beneath a mountain of human blubber! 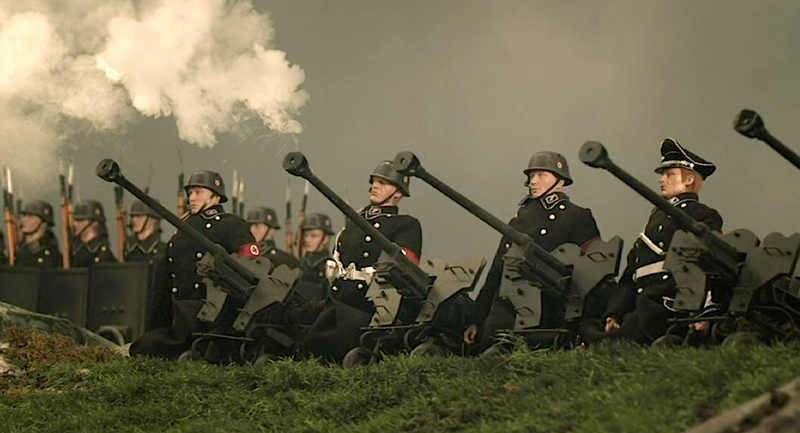 Watch that ridiculous clip HERE. Eventually, Joe decided to “up his game” and pursue appearances in motion pictures. 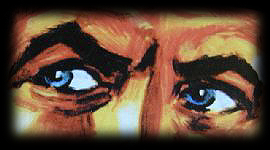 In the past, such sightings were much more elusive than those on television, requiring greater vigilance from fans. 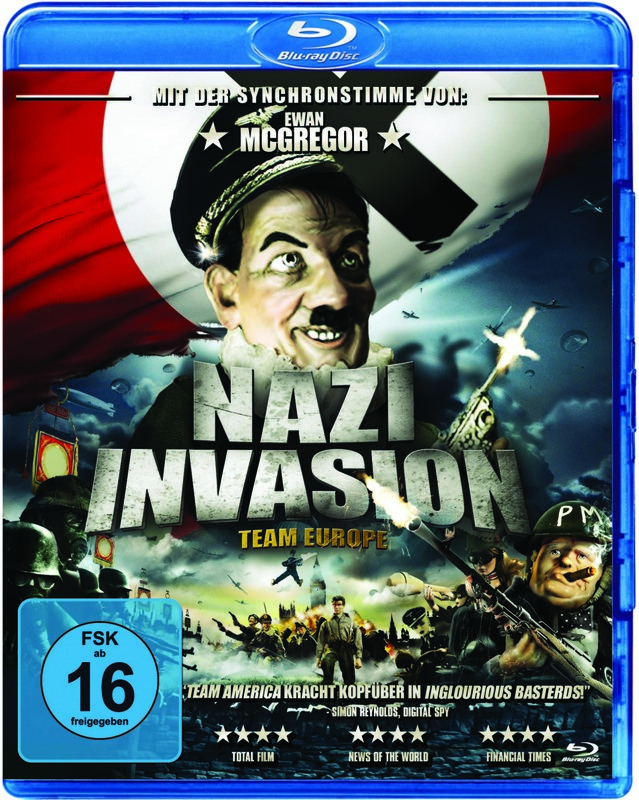 But nowadays, with the advent of DVDs, sightings in movies are becoming more common. In one such sighting, Joe can be seen in the 2005 film, Amityville Horror. 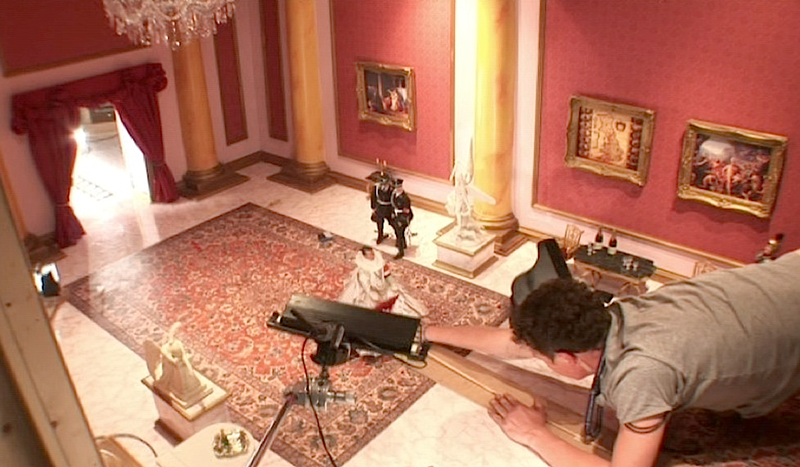 During the opening scene, lightning is flashing on and off while the camera pans slowly around a darkened room. 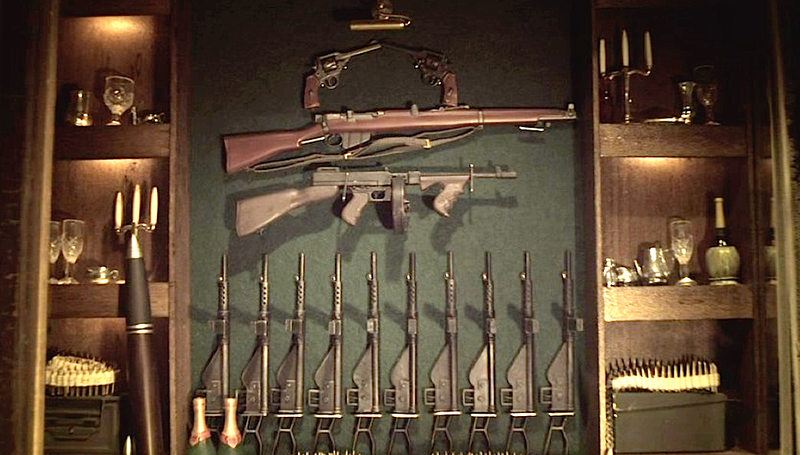 Ever so briefly, sharp-eyed fans will notice GIjOE sitting on the shelf, once again portraying his famous role of the “Silent Sitter.” One fan describes the scene thusly..
Blink and you’ll miss GIjOE in his ultra-brief appearance in the film, The Amityville Horror. 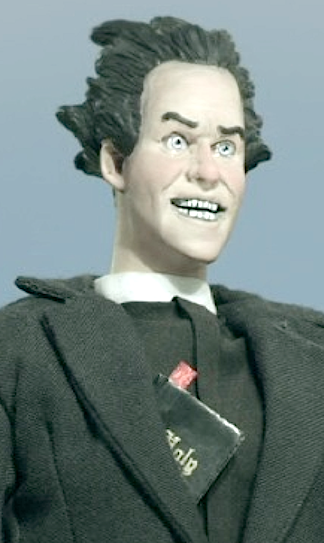 Action Man in his guest shot in the tepid Sci-Fi film, X-TRO. Michael Keaton reconnects with his old friend, GIjOE, in a touching scene from the film, My Life. 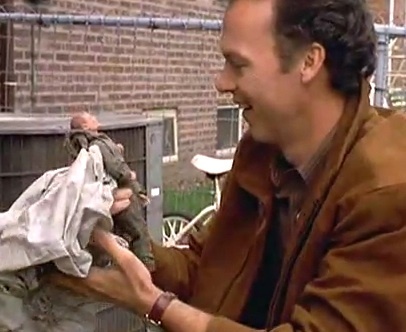 By contrast, one of GIjOE’s most subtle and touching performances is in the film, My Life, starring Michael Keaton. 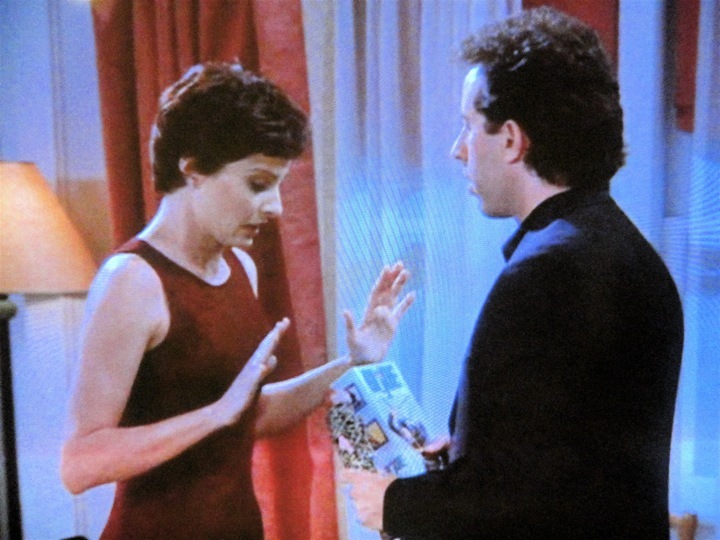 In this particular movie…well, I don’t want to ruin it for you. Let’s just say the scene is something all fans can relate to, deep within their hearts. If you haven’t seen this special “sighting” yet, do yourself a big favor and watch it now HERE. Just a few thoughts before closing this rather lengthy post. Please leave a comment if you know of any additional “Joe sightings” on TV or in films. I know fans around the world would all LOVE to see them. In gratitude, I hereby award all such past and future “Joe Sighters” an unofficial, GIjOE “Eagle Eye Award” for superb service and support in our noble cause. Salute! 1) Track down these additional sightings from other collectors. 2) When you find one—and you WILL—return here and leave a comment letting us know all about it! 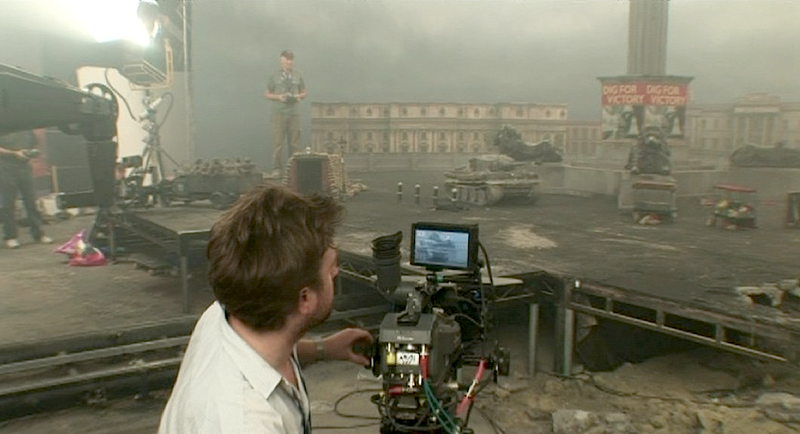 Put your own “Eagle-Eyes” to work and watch carefully for GIjOE’s next appearance in a TV show or motion picture!